Come see LubriSynHA in Las Vegas! LubriSynHA has the best products in their respective categories. Our trusted joint supplement, our revolutionary topical wound gel, and our amazing nutritional products allow you to provide total health to your pets and horses. We’re excited to be returning to the 2018 Wrangler National Finals Rodeo. We will have two official booths where you can see us. Not able to attend the the NFR this year? 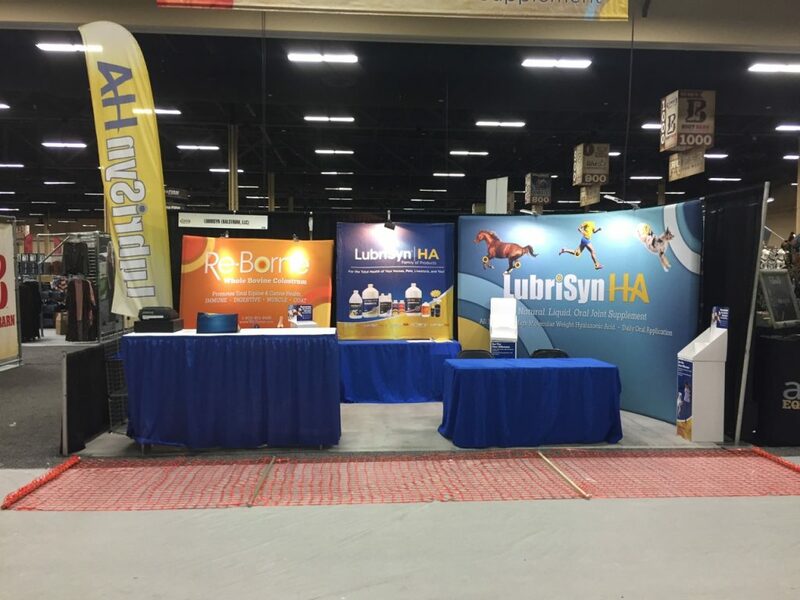 Use code “2018NFR” and get 20% off your next purchase of any LubriSynHA purchase from December 6-15, 2018! You can also follow us on Instagram to check out our photos as well as be on the lookout for some free product giveaways! Make sure to come say hi to Alex at the Midwest Horse Fair in Madison, Wi this weekend. We’re in booth #2918 and will be giving away over $250 worth of prizes! Who’s at #EquineAffaire this week? Be sure to stop by booth 936 for free goodies, great discounts, and a chance to win our daily GIVEAWAY! With a value over $250, you don’t want to miss this! We hope to see you here! This entry was posted in LubriSynHA For Horses, LubriSynHA For Pets, LubriSynHA For You. Bookmark the permalink.